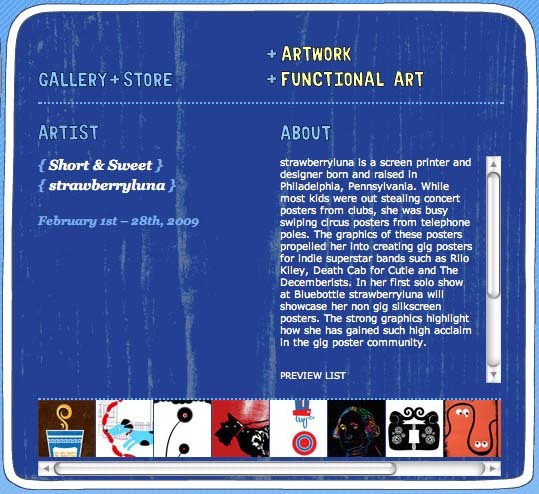 This entry was posted in Gallery Shows, New prints, New releases, News & Events, Upcoming Posters & Prints and tagged art, art openings, art shows, bluebottle art gallery, bluebottle art gallery + store, functional art, prints, screenprint, short & sweet, strawberryluna by strawberryluna. Bookmark the permalink. I Love your site! Your blog caught me attention and I am just stoppin by to say Hi. I am new to wordpress, and trying to tell others about my website http://www.WreathConnection.com feel free to visit my blog as well at http://wreathconnection.wordpress.com as well- I am trying to make as many friends as possible!!! Hope to see you soon! Wow, congrats! Looks like a really cool gallery! Thanks Martha! I definitely want to go check them out in person the next time that I am in Seattle. Hopefully this coming Labor Day weekend during Bumbershoot & Flatstock. They carry lots of different handmade crafts from artists all around the country. Just saw your stuff on Bluebottle’s Web site (I’m a Seattle girl) and love it — bought one that I’ll pick up soon! 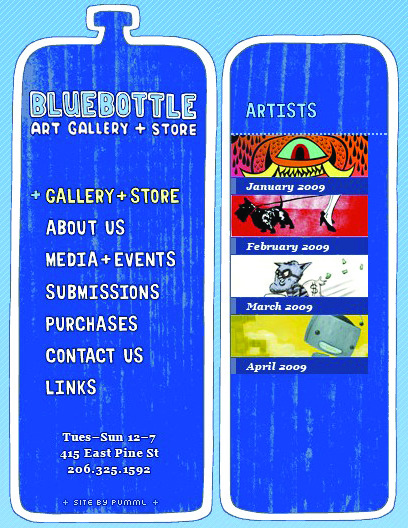 You’re awesome; thank you so much supporting Bluebottle and handmade art. I hope that you enjoy your new print.